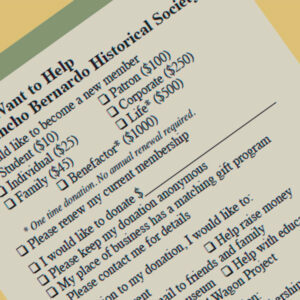 For your continued support of the Rancho Bernardo Historical Society. It is through your donations of time and money that we can preserve our past. A past we passionately want to educate others about, preserving it for future generations. It is our hope that this work will benefit all people, whether currently living in our community or elsewhere.